Girls, when there are awesome freebies like these, don’t think, just grab em’ before it’s too late! EverydayMe is an online platform created by Procter and Gamble, a company that has been establishing brands for the past 175 years, helping people around the world have an extraordinary every day. 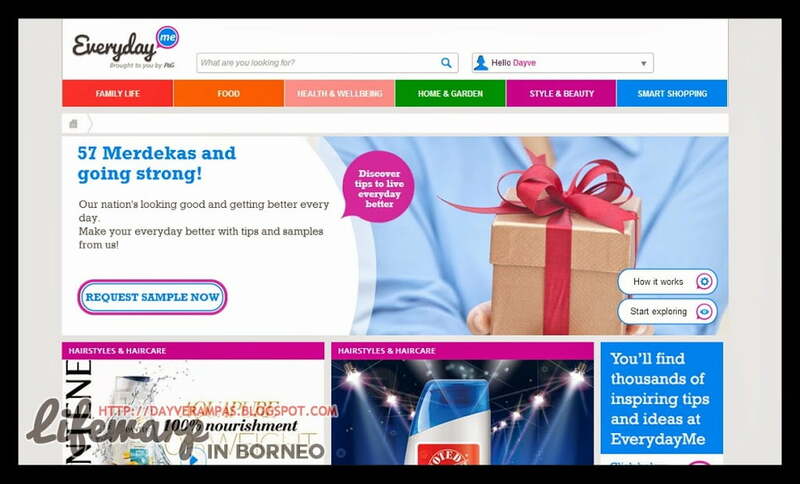 If you love to try new things, or products, this site is a must to be explored. EverydayMe is currently giving out samples to their customers, and all you have to do is to get yourself signed up with them. Remember, you may only choose one sample kit at one time. One sample for one household only. Jangan tamaha. I received my samples about 3 weeks ago, and I’m currently using Olay Regenerist Advanced Anti-Aging Serum 10ml, and Downy Parfum Collection – Mystique (yang ini untuk cucian kain). Here’s a short review on both of these products. This serum penetrates into skin’s surface to deliver our super-concentrated amino-peptide + B3 complex. This fast absorbing, non-greasy formula provides specially designed hydration to give you significantly firmer skin and regenerate skin’s appearance. 100% fragrance- and color-free. Olay reformulated this serum in 2014, removing the paraben preservative system. Parabens are not evil or harmful ingredients, but the media hype has convinced many consumers otherwise, despite what the research says. Ironically, the new preservative system stands a higher chance of causing a sensitized reaction; DMDM hydantoin is a formaldehyde-releasing preservative that isn’t often used in skin-care products (parabens are gentler). I’ve got dry skin around eyes and cheeks, and oily T-zone. This serum leaves a very matte, silky, and hydrated feel. I’ve noticed it works great with occasional breakouts because it helps soothe the skin, and helps it heal faster. Moreover, it pairs well with all my other skincare products and make-up. It can be an excellent primer, too. I usually apply this before my Skinfood Watery Berry Emulsion, and it leaves my skin hydrated in the morning. This is a triple treat – a makeup primer, a moisturizer, and a serum! Mystique of Downy Parfum Collection™ creates the Aura of Mystery on you with the exotic blend of scents. A masterful blend of fruity scents with creamy vanilla powdery scent, wrapped in the playful and intriguing spices leaves mysterious scent. This might work for you if you are not an avid fan of perfume or you’re having problem to get rid with that fishy smell. Since the it has a very luxurious scent, I mixed it with water and fill it into my spray bottle which is enough to make my home wangi. Wanna be the first amongst your girlfriends to sample these amazing products for FREE? SIGN UP NOW!